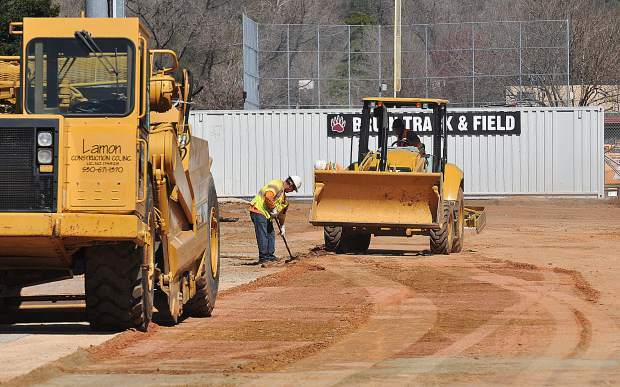 Lamon Construction Company workers have been busy working on the track at Bear River High School while students are away for spring break. Hansen Brothers Enterprises construction workers use an excavator to help pave a new path along Ridge Road in front of Nevada Union High School that will be used as a pedestrian walkway. 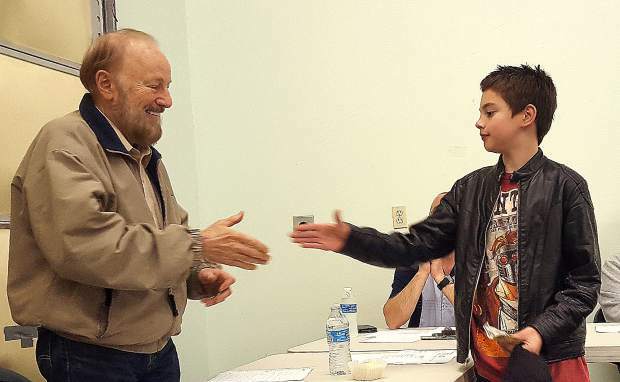 Nevada County schools are utilizing Measure B funds while students are away at spring break, though construction will continue into the school year. 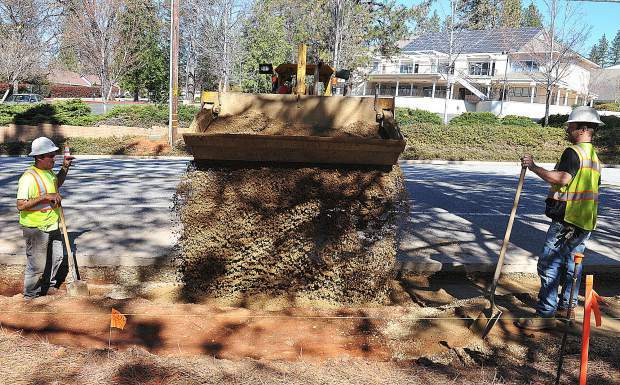 Hansen Brothers Enterprises construction workers use a front-end loader to pour gravel into a sidewalk foundation along Ridge Road Wednesday morning in front of Nevada Union High School. 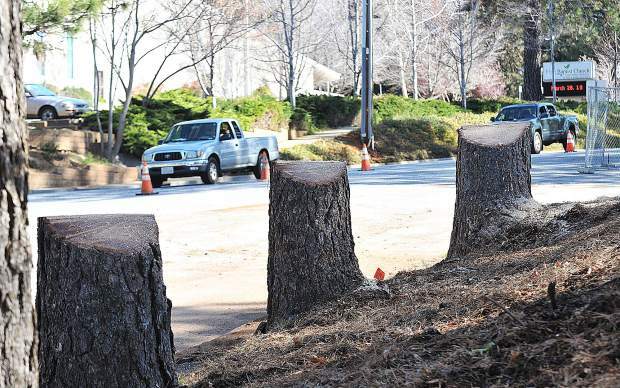 Approximately 30 trees were felled on the Nevada Union High School Campus as part of Measure B construction. 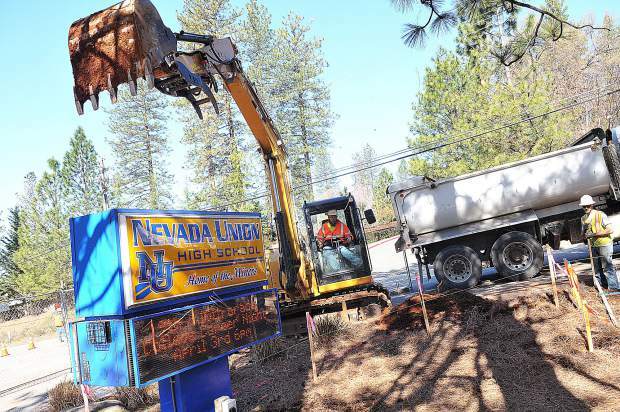 Construction workers use push brooms to clear the driveway of Nevada Union High School Wednesday morning after dropping a handful of the 30 trees removed as part of the Measure B construction going on during spring break. 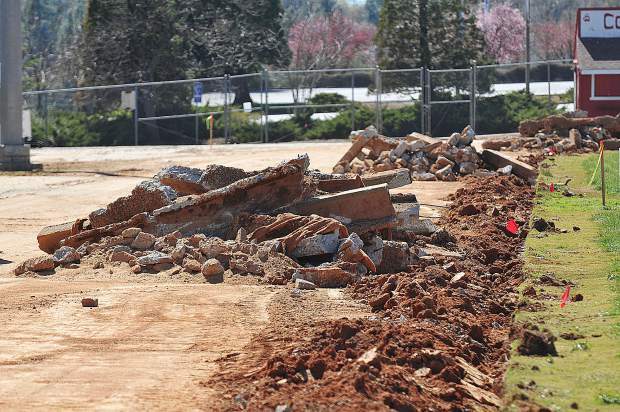 Construction will continue into the remainder of the school year and the main parking lot will remain closed. A second phase of Measure B construction at Nevada Union High School will begin following the last day of school in June. A Lamon Construction Company excavator is used to pull up the concrete long jump runway adjacent to the Bear River track and field Wednesday. 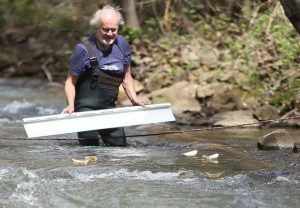 The construction company has been authorized to use Measure B funds to upgrade the track. 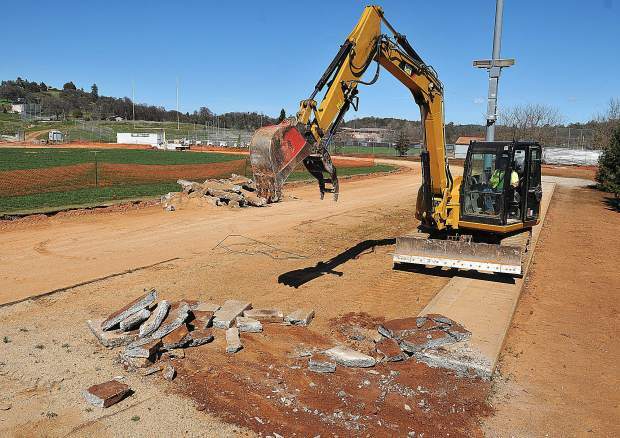 Piles of old concrete curb is pulled from the dirt track at Bear River High School during spring break Measure B construction work. Hansen Brothers Enterprises construction workers use an excavator to help pave a new path along Ridge Road in front of Nevada Union High School that will be used as a pedestrian walk way. 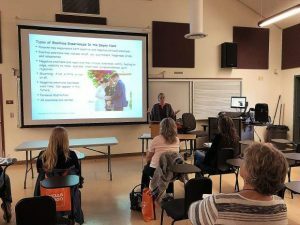 Nevada County schools are utilizing Measure B funds while students are away at Spring Break, though construction will continue into the school year. Measure B construction kicked into high gear this week while students were away on spring break from Nevada Union and Bear River High School campuses. 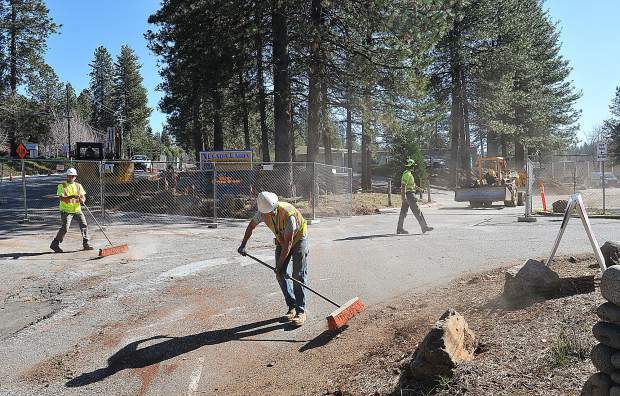 At Nevada Union, crews with Hansen Brothers began the sidewalk paving project along Ridge Road, while tree crews removed 30 pine trees from the campus to help with line-of-sight and right-of-way issues. At Bear River High School, Lamon Construction Company workers used excavators and road graders to work on upgrades to the track. 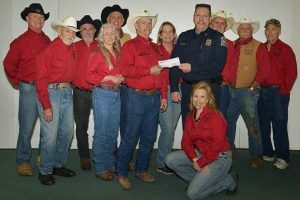 Inside of Bear River, construction began on the fire alarm system. While construction started during the spring break, much of it, including the underground utility project at Nevada Union, won’t be finished until the end of the school year when a second phase of Measure B construction will begin.